In a marital relationship, keeping score doesn’t reflect agape (love). The Greek for “thinketh” is logidzomai which is a bookkeeping term which implies making an entry in an accounting book. Bookkeepers keep records in a detailed and logical manner. A bookkeeper is able to give an exact account and itemized list which becomes a legal document. Do you keep account of what your spouse inflicts just to pay them back? The Apostle Paul is exhorting the church not to keep records of those who injure you. Do you keep flipping back to your old record book of wrongs? Stop keeping score of your spouse’s offenses against you; it is sin! Maybe you don’t write down on a notepad the wrongs your spouse has done to you but you do keep a mental checklist. That list of your spouse’s wrongs can be very destructive to your marriage. If you are keeping those mental records, remember that you are not granting your spouse the same mercy that God has granted to you. Agape (love) doesn’t deliberately keep records of past mistakes. Are you holding your spouse hostage because of actions you feel are violations against you? If you have a hard time releasing your spouse from past offenses, this is a sign that you need agape (love) in your life. If you want to bring unhappiness into your marriage, keep score of what your spouse does that offends you. 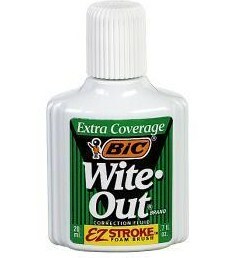 Get that “white out” out and cover over those offenses with LOVE! Don’t let the past shape your future! NOTE: Tomorrows post will have new insights to make your marriage a success.